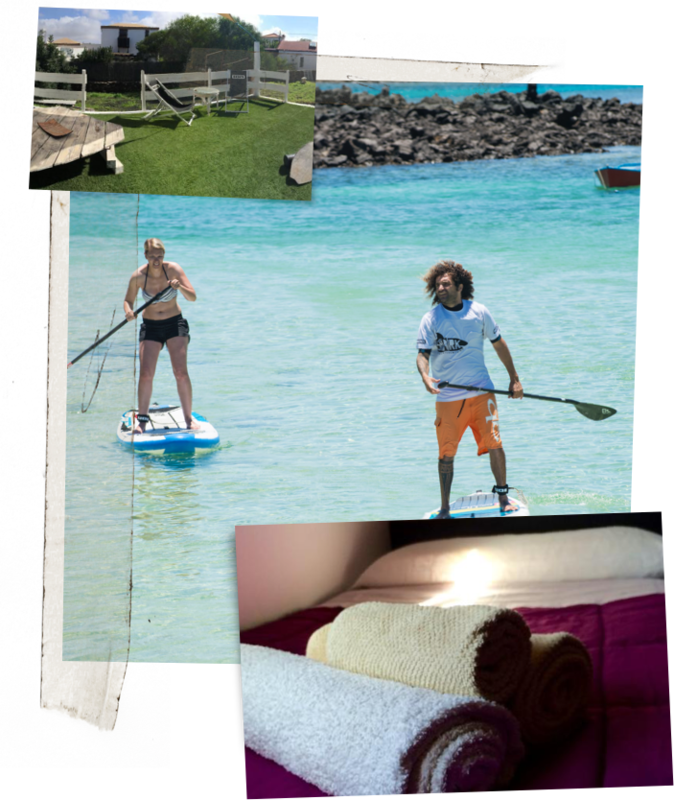 Combine your SUP Surf Course with comfortable accommodation in our Surfer Home CASA NORTE in Fuerteventura. Stay in our SUP CAMP and get the most out of your Holiday in Fuerteventura. Our Camp is perfect for those who want to enjoy watersports and the tranquillity of Fuerteventura ́s Countryside. Our Camps are suitable for families, friends, and independent travelers. You will be staying in Casa Norte, a typical Fuerteventura Villa located in Villaverde and just 15 min. 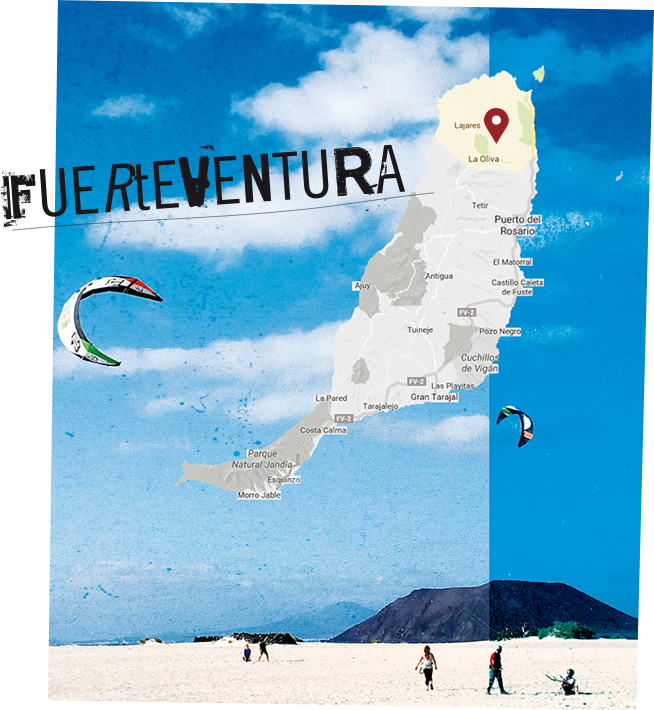 by car away from the best beaches for surf, kitesurf and SUP surf and Corralejo. Our Camp is perfect for the one who want to enjoy Watersports and the tranquility of Fuerteventura Countryside. Watersportsould you like to add YOGA or Funcional TRAINING to your SUP CAMP? We offer YOGA and PRO TRAINING in our home own Fitness Center just next to CASA NORTE. Price based on 2 or 3 people sharing in private room with shared bathroom. - Upgrade Suite + 10 % (private room with private bathroom). - Upgrade Single booking + 15 % (private room with shared bathroom). - Upgrade Single booking + 25% (private room with private bathroom). Would you like to add Yoga or Functional TRAINING to your Sup Camp? We offer YOGA and PRO TRAINING in our own Fitness Center just next to CASA NORTE. are located in the perfect spot in Fuerteventura! Just 15 minutes away by car from the best beaches for SUP, surf and Kitesurf and the lively tourist town of Corralejo.